Tavares Group Consulting and Kuzuka Ltd. Officially Launch The Sustainability Toolkit - A Practical Guide to Integration. - Tavares Group Consulting Inc.
Tavares Group Consulting and Kuzuka Ltd. Officially Launch The Sustainability Toolkit – A Practical Guide to Integration. The Sustainability Toolkit- A Practical Guide to Integration has officially been launched. This innovative tool, developed as a joint venture of Tavares Group Consulting Inc. and Kuzuka Ltd., is now available for use by organizations interested in implementing corporate social responsibility initiatives. 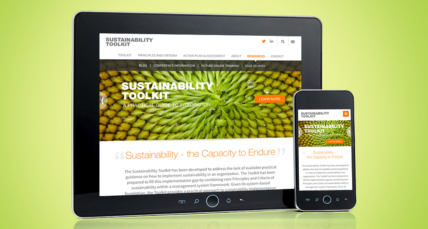 We have also recently launched our Toolkit Website sustainabilityimplementation.com where more information on the Sustainability Toolkit can be found, including blog updates, training opportunities, and case studies. Developed to address a gap in sustainability implementation guidance, the Toolkit allows users to answer the ubiquitous question, “Where do I begin?” The basis for the Sustainability Toolkit lies in widely accepted documents outlining the definition of corporate social responsibility (e.g. ISO 26000) and accepted reporting practices (e.g. Global Reporting Initiative). This strong foundation allows the Toolkit to be effective in educating users, allowing them to develop a unique sustainability index. 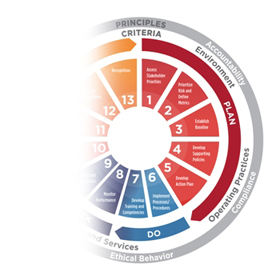 The classic Plan-Do-Check-Act approach is utilized, as users complete a 13-step approach to guide every step of the implementation process. Once users begin to make progress with their implementation plan, the Toolkit’s Action Plan and Assessment Tool will provide a means to measure progress and ensure the intended results are being realized. Currently in use by multiple companies, the Toolkit is proving to be a very beneficial tool when implementing corporate social responsibility measures. Planning to attend one of our training sessions is a great way to learn more about the Sustainability Toolkit, or to further aide the implementation process. An online 4-part training seminar will also occur from March-April 2014. This seminar will deal exclusively with the Sustainability Toolkit, guiding users through the 13-steps as they take real action in developing sustainable business practices. Sandra Tavares, Principal at Tavares Group Consulting Inc. will also be leading a seminar in February 2014 on the ISO 26000 guidance document, which will culminate with a session that discusses the Toolkit in relation to ISO 26000. This protocol played a major role in the development of the Toolkit, and would provide attendees with further insight concerning the Toolkit, or an in-depth look at ISO 26000.